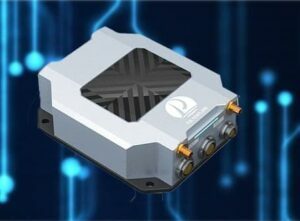 Polynesian Exploration, a developer of navigation solutions, has announced the launch of its Polynav2000P/E family of GNSS-aided Inertial Navigation Systems (INS). The Polynav2000P/E family is designed to fully utilize the advantages of both GNSS and inertial navigation systems (INS) to provide centimeter-level position and velocity measurement accuracy with dual frequency Real Time Kinematic (RTK), together with less than 0.1-degree accuracy attitude measurements. The Polynav2000 family is ideal for unmanned aerial vehicle (UAV) and autonomous vehicle applications in urban environments and provides over 75% RTK fixed percentage (maintaining centimeter accuracy) while operating in the city. The odometer input support provides for even tighter coupling and support during the GNSS outages. The Polynav2000P/E offers a choice of high and ultra-high-performance inertial sensors. The integrated dual antenna provides a superior short-term stability against satellite signal outages and highly accurate heading in dynamic or static positions. Furthermore, the system is capable of continuously generating highly accurate attitude measurements regardless of whether the platform is moving or static. The Automotive Dead Reckoning (ADR) solution provided by Polynav2000P/E can maintain position for up to 30 second interval during GNSS outages while going under bridges, inside tunnels or during similar signal obstructions. The Polynav2000P/E rover and Polinav2000B base stations are currently available. The Polinav2000P/E is housed in a ruggedized enclosure measuring 145mm x 120 mm x 45mm and has 2 UARTs, CAN, Ethernet and USB interfaces, as well as 1 PPS output.